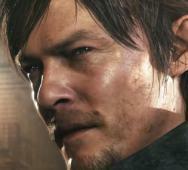 Guillermo del Toro and Norman Reedus confirm that Konami‘s Silent Hills project for what would have been an excellent horror game has been cancelled. Sony released the P.T. (Playable Teaser) back in August 2014 for the highly anticipated horror game. Sony will be taking off P.T. from the available downloads on April 29, 2015, so last chance to download it if you have not already. Hideo Kojima will no longer be the director of the game and things simply fell apart after that. Norman Reedus’ contract for Silent Hills expired and Guillermo del Toro is a busy man who has easily moved on. Konami has stated that they will keep Guillermo del Toro and Hideo Kojima in mind for any future developments but plainly stated, it will not be the same horror game. 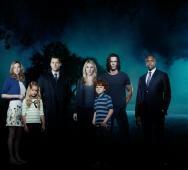 ABC’s The Whispers Season 1 will debut this summer on Monday June 1, 2015. Children are being manipulated by an unseen force and and the risk is high, the entire human race. Sounds like a pretty hefty journey ABC has planned for us. I am not sure why ABC has pushed the new TV series into the 10:00-11:00 ET/PT time frame but we will see. Starring in The Whispers Season 1 are Tate Birchmore, Barry Sloane and Lily Rabe. M. Night Shyamalan‘s The Visit (2015) takes us into that deep down unsuspected horror of scary grandma’s. 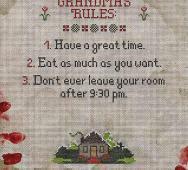 The Visit releases September 11, 2015 which is a Blumhouse Productions film from Universal Pictures. Shymalan wrote and directed the film near his Pennsylvania home which he also self-financed the horror film. Other events during this filming included Shymalan signing a deal with Jason Blumhouse of Blumhouse Productions which has also made a big deal signing with Universal Pictures, a 10 year extension to their first-look deal together. The trailer is said to be released soon and I cannot wait to see it. 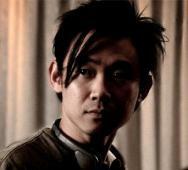 James Wan has confirmed that he will be producing The Entity (1983) remake along with Roy Lee (The Poltergeist (2015)). Set to write the screenplay are Chad Hayes and Carey Hayes who brought us The Conjuring (2013), House of Wax (2005) and The Reaping (2007). Director Sidney J. Furie shocked many horror movie fans when he released The Entity back in 1983. The new horror film seems to have a very solid foundation and I personally cannot wait to see more on The Entity remake. Director Roland Emmerich‘s Independence Day 2 (2016) has gotten some major steam securing some of the return actors already confirmed like Jeff Goldblum and Vivica A. Fox while also adding Jessie Usher and Liam Hemsworth as new stars. 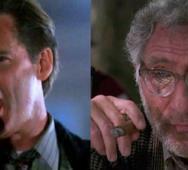 Now it has been confirmed that Bill Pullman and Judd Hirsch will also be returning to the Independence Day franchise. Pullman was President Whitmore and Hirsch was Jeff Goldblum’s father. Do you think Independence Day 2 (2016) will come close to or even beat the glory of Independence Day (1996)? So far Independence Day 2 is set to release in movie theaters on June 24, 2016. 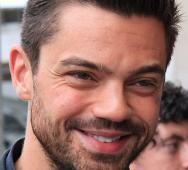 AMC‘s Preacher TV series just got even more interesting as Dominic Cooper has been confirmed to play Jesse Custer. Already cast for Preacher Season 1 are Joseph Gilgun as the vampire friend Cassidy, Ian Colletti as Arseface and Ruth Negga as Jesse Custer’s girlfriend Tulip. Jesse is a small town preacher who along with his friends try to find God who has abandoned Heaven. Jesse is also fused with a powerful entity which really spices up the story. Seth Rogen and Evan Goldberg are developing AMC’s Preacher and we have one last major cast member to reveal… The Saint of Killers. This cast member has not been revealed yet but we will let you know as soon as it is revealed. 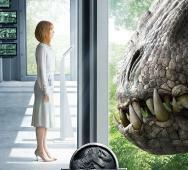 Claire Dearing (Bryce Dallas Howard) tempts face my looking the Indominus Rex square in the face in this new poster for Jurassic World (2015). Jurassic World hits movie theaters on June 12, 2015. Steven Spielberg executive produces the sci-fi film directed by Colin Trevorrow. Starring in Jurassic World are Chris Pratt, Bryce Dallas Howard, Ty Simpkins, Nick Robinson, Irrfan Khan, Vincent D’Onofrio, Jake Johnson, Omar Sy, BD Wong and Judy Greer. Sinister 2 Poster Looks Awesome! Ciaran Foy‘s Sinister 2 (2015) looks awesome after seeing the movie trailer and now we have the official poster too. The poster subtly has two children signifying the second movie in the Sinister franchise. I really like that they kept the majority of the first movie’s design. 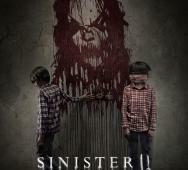 Sinister 2 releases in movie theaters this upcoming August 21, 2015. Starring in Sinister 2 are Shannyn Sossamon, James Ransone and Nicholas King. Justin Benson and Aaron Moorhead‘s Spring (2014) was a great movie in the vein of horror romances like Twilight should have been. There are some deep strange moments with very original concepts. Read our review of Spring here. The Blu-ray and DVD release is set for June 2, 2015 with highlight bonus content like audio commentary from the directors, “The Making of Spring” feature and deleted scenes. Starring in Spring are Lou Taylor Pucci, Nadia Hilker and Vanessa Bednar. March’s Horror Block was AMC‘s The Walking Dead themed and it certainly did deliver. You can also call it the Daryl Dixon (Norman Reedus) mystery box. We have a great drawstring bag and Motorcycle Repair T-shirt featuring Daryl. 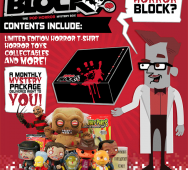 Also added were the Rue-Morgue Magazine, Lee Howard Pinhead Print, Wind-up Mummy Puzzle and an exclusive Horror Block key cap. Full details on each below. Universal Pictures’ Unfriended (2014), originally known as Cybernatural (2014), releases in movie theaters on April 17, 2015. This new horror thriller movie is directed by Levan Gabriadze and looks to take cyberbullying to a whole new level. The cast of Unfriended include Cal Barnes, Matthew Bohrer and Courtney Halverson. Tell us what you think of Unfriended (2014) because we know it is a hot movie from our Facebook and Twitter comments. 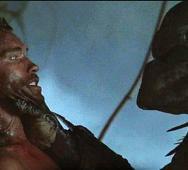 Predator has been confirmed to appear in the Mortal Kombat X Kombat Pack. I most likely will not be paying $29.99 for it but cool to see that Jason Voorhees and Predator will be added, I believe Spawn will also appear too. Have fun all you Mortal Kombat fans. Alex Roe has been announced as the latest addition to F. Javier Gutierrez‘s The Rings (2015) cast. The Rings releases in movie theaters this upcoming November 13, 2015. Also cast in The Rings is Matilda Anna Ingrid Lutz. Roe will play the male lead who is the boyfriend of Lut’s character who “becomes distant from her after watching the tape.” This is the official prequel to The Ring which sets the events in this horror movie before the events in The Ring (2002). 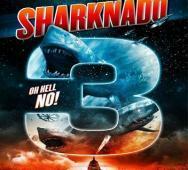 Anthony C. Ferrante‘s Sharknado 3: Oh Hell No! (2015) is the final title for the third Sharknado movie, never would have thought it would have been such a hit for Syfy. Sharknado 3: Oh Hell No! premieres on Syfy this upcoming July 22, 2015. I would love to see what the tagline “Oh Hell No!” is all about. Starring in Sharknado 3: Oh Hell No! are Tara Reid, Ryan Newman and Bo Derek. 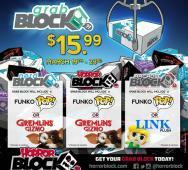 The makers of Horror Block and Nerd Block have just announced the addition of the Grab Block box. The Grab Block is available until March 23, 2015 for $15.99 per block. The block will include a shirt and at least 1 Funko Pop or Plush item, I personally love the Funko Pop items. We may post a full review of the Grab Block next month if we get one. 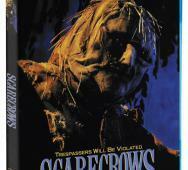 Shout Factory has just announced the Blu-ray release for William Wesley‘s Scarecrows (1988) movie. Shout Factory will release the Blu-ray on June 2, 2015. So you may be asking, what bonus features are worth wild. There are 2 sets of audio commentaries plus interviews with actor Ted Vernon and Special Make-up Effects Creator Norman Cabrera. Full details on the release are available in the Press Release below. Starring in Scarecrows are Ted Vernon, Michael David Simms and Richard Vidan. 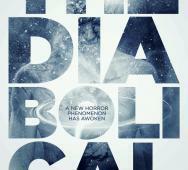 'The Diabolical' Movie Poster Looks Awesome! Alistair Legrand‘s The Diabolical (2015) was played at the SXSW Film Festival 2015 as a Midnighters selection. The movie poster looks great and if you want another chance to see the new horror sci-fi thriller movie, you can watch it at the Alamo Ritz on Friday March 20, 2015. This is Legrand’s directorial debut which he also co-wrote with Luke Harvis. Cast in The Diabolical are Ali Larter, Arjun Gupta, Max Rose, Merrin Dungey, Chloe Perrin, Kurt Carley, Patrick Fischler, Wilmer Calderon, Tom Wright and Laura Margolis. XLrator Media may have a real good horror movie here. 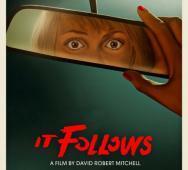 David Robert Mitchell‘s It Follows (2014) has been getting some great reviews and today we have the new “retro” poster for you. It reminds me a simpler time when the movie posters were so simple and left a lot up to the person reading the synopsis/plot, not a fan of this poster personally. Cast in It Follows are Maika Monroe, Keir Gilchrist, Jake Weary, Daniel Zovatto and Lili Sepe. Leigh Whannell‘s Insidious: Chapter 3 (2015) releases in movie theaters this upcoming June 5, 2015 and today we have the latest movie poster for the film. The third Insidious movie follows another family as they are plagued by the entities from The Further. In this movie poster, we see Quinn (Stefanie Scott) terrified as something enters her bedroom. A lot of people are wondering if Whannel has done well in the new director role, lets see. 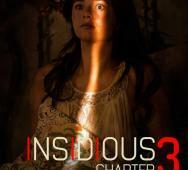 Starring in Insidious: Chapter 3 are Dermot Mulroney, Stefanie Scott, Angus Sampson, Leigh Whannell and Lin Shaye. Blumhouse Productions has a great track record and Focus Features is the distributer. 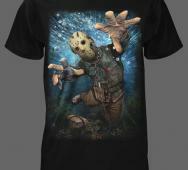 Fright Rags has just released details on their latest Jason Voorhees T-shirt. This item looks awesome and will be available until 11:59pm EST tonight. The Fright Rags’ Forest Green Killer T-shirt costs $18.00, mens sizes include small - 5x Large and female sizes include small - 2x large. This is one sweet item.